Aggies get nipped by the Utes falling 4 points short and Baltimore Ravens fell to the Rams by 3. That being said, there was nothing but victory for the Larsen Football camp. Tyler dominated the line of scrimmage against the Ute defense and Cody chalked up 2 tackles and his first sack in the NFL. 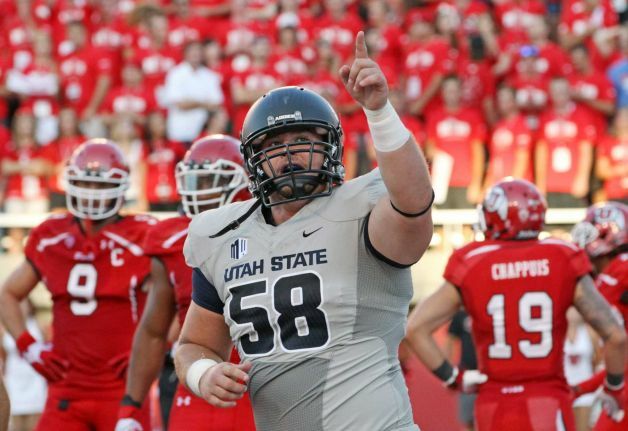 The stronghold of Utah State throughout their battle with the Utes was undoubtedly the Aggie offense. Tyler Larsen led the Aggie O-line and gave Chuckie Keeton the protection needed to complete 31 of 40 passes for 314 yards. 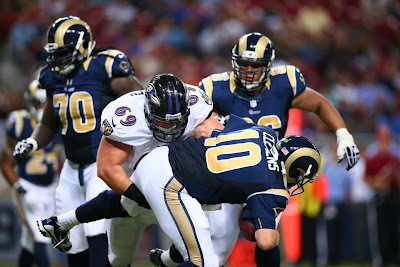 On the other side of the ball, Cody Larsen was a constant problem for the Ram offense in a game that left Baltimore a field goal short over St. Louis. Cody picked up 2 solo tackles and his first NFL sack against Rams QB, Kellen Clemens, for a loss of 6 yards to end the first half. As Ravens solidify their roster going into the season opener against Denver, Cody capitalized on the opportunity to showcase his abilities on the field. But wait, were not done! With new changes in the school district, this will be the first year that Jordan High School hosts a freshman class and with them, another Larsen. 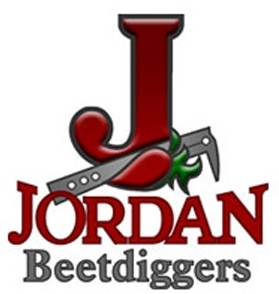 Tyler and Cody's youngest brother, Collin, will be one of the first freshman ever to dress varsity for Jordan. It is a big honor for Collin to dress varsity for the Beetdiggers, who finished last season ranked 25th in the nation according to MaxPreps. No doubt coach Kjar is anxious to replace one Larsen in the trenches with another having graduated Zach Larsen last year. Collin and the Beetdiggers will be traveling to California this week to match up against the Cathedral Catholic Dons in a preseason exhibition game after trouncing Fremont last week 40 - 12. Excited to see Cody made the Practice Squad for the Ravens. He worked hard in the pre-season and the coaches recognized his potential. He just needs to keep working hard and he'll be called up. Play like a Raven Cody!